Ready to explore a new destination for your upcoming event? Greater Des Moines welcomes you to host your attendees in this surprising, hip city that has a vibrant culture, premier restaurants and variety of meeting space options. With plenty of affordable meeting venues and hotel rooms, it is easy to see why hundreds of planners select this city to meet in each year. Check out these top reasons to have your next meeting in Des Moines, Iowa. 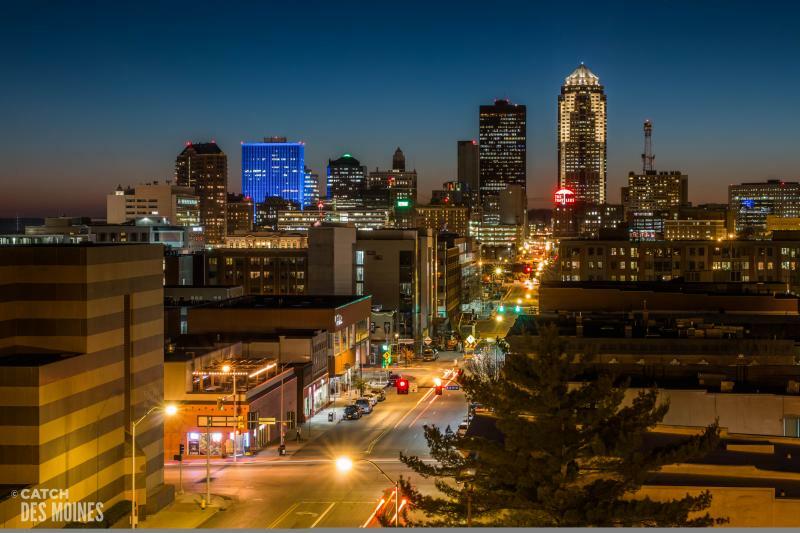 With the three largest industries in Greater Des Moines being insurance, technology and agriculture, it is safe to say the city thrives because of great business relationships and growth within the city. Because of these various partnerships, Greater Des Moines is home to top-notch entertainment, dining and meeting venues, available to both residents and visitors. From vacationers to meeting attendees, the city has a variety of accommodations, with 13,000+ hotel rooms to choose from for your group. Greater Des Moines is easily accessible; Des Moines International Airport offers direct flights from 22 destinations and 90 daily flights. If you’re arriving by car, you’ll find that the city is located at the intersections of Interstate 80 and Interstate 35. From unique off-site venues to state-of-the-art meeting facilities, Greater Des Moines welcomes the opportunity to host your next meeting, convention or event with assistance from Catch Des Moines&apos; knowledgeable team. Whether you need a boardroom or an arena setting for 17,000 people, the Iowa Events Center serves as your convention center during your time in Des Moines. Comprised of three venues, the center is home to Wells Fargo Arena, Hy-Vee Hall and Community Choice Credit Union Convention Center. Host your group in one of the 37 meeting rooms and take advantage of the 150,000-sq.-ft. expo hall, all under one roof. 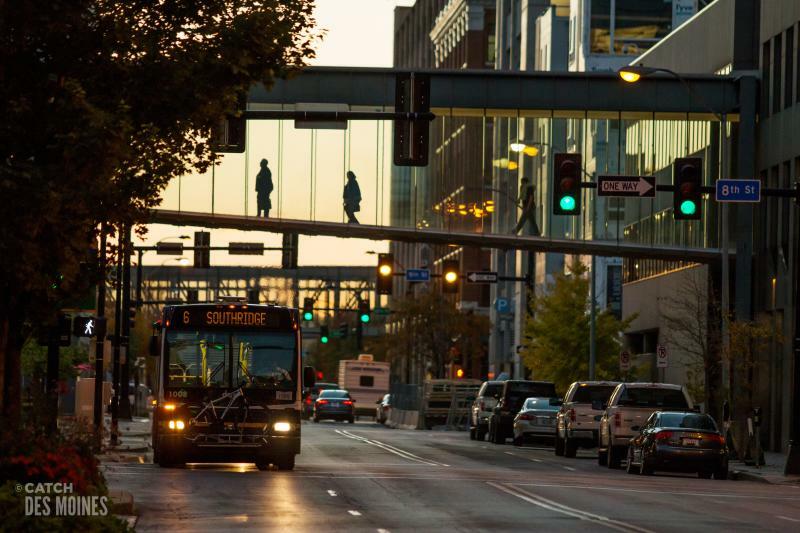 Connected to the convention center, the climate-controlled skywalks system in downtown Des Moines connects your attendees to hotels, restaurants, shopping and meeting facilitates—providing a safe, walkable environment for them to explore the city before and after meetings. The new Hilton Des Moines Downtown means added benefits and options for you and your attendees. 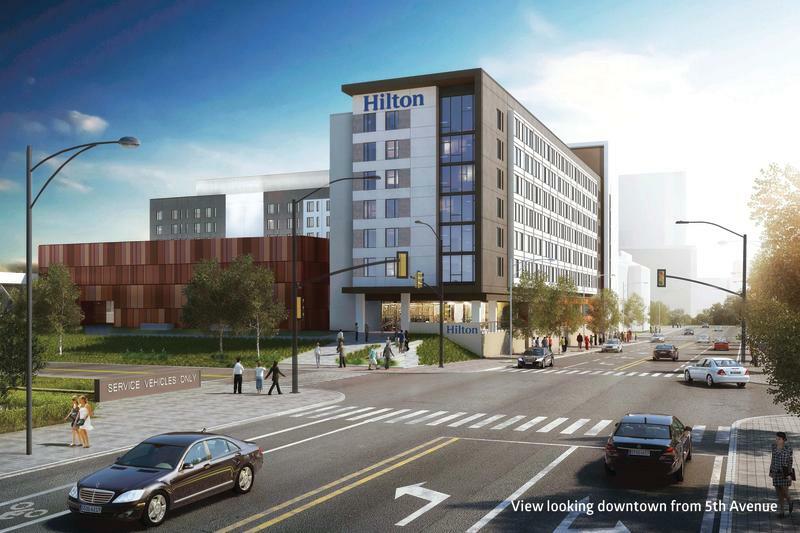 The additional 330 rooms at the Hilton hotel adds to the 2,100+ hotel rooms in the downtown area and the 13,000+ hotel rooms across Greater Des Moines. Attached to the Iowa Events Center, the property will soon welcome the 2018 Association of Chamber of Commerce Executives annual convention. This event will bring more than 1,000 chamber of commerce leaders from around the country. With this new addition to the convention center space in downtown Des Moines, it’s encouraged for you to look at how Greater Des Moines can host your group with a variety of hotels, from budget-friendly to high-end accommodations. The Des Moines dining scene has an abundance of casual and upscale dining options, with more than 1,000 locally owned restaurants, James Beard-nominated chefs and numerous television spots featuring the city as a top culinary destination. 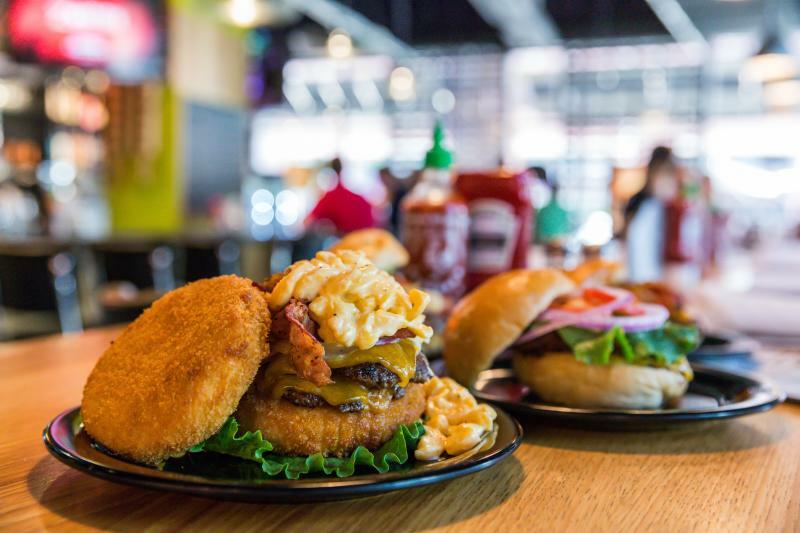 One of the area’s most creative and delicious dining experiences takes place at the unique Zombie Burger + Drink Lab. This “GOREmet” eatery has a humorous horror theme with unique burger toppings, such as pulled pork, macaroni, goat cheese, prosciutto and more. The Drink Lab features creative cocktails, perfect for your attendees looking to experience some of Des Moines’ local flair. Try the UnDead Elvis with a spiked crunch berry shake. After a day of meetings, invite attendees to gather at the popular Republic on Grand on the sixth floor of the AC Hotel by Marriott Des Moines East Village. With rooftop views overlooking downtown, they can relax with a craft cocktail and enjoy artisanal bites featuring eclectic American cuisine. Whether it’s a social event or a casual cocktail reception, the views of the city are a treat. Another of Des Moines’ top dining experiences includes Jethro’s BBQ. This barbecue mecca was featured on “Man vs. Food” for its colossal Adam Emmenecker challenge. Named after former Drake University basketball player, Adam Emmenecker, this massive meal challenges diners to finish it within 15 minutes! The challenge includes Texas brisket, a cheeseburger, Buffalo chicken tenders, one pound of waffle fries and more. If that’s not your style, treat your taste buds to the Iowa pork platter or the Des Moines melt. To truly live like a local during your visit, make plans to visit the Downtown Farmers’ Market for a taste of fresh farm food, unique art and live entertainment. Since 1976, hundreds of entrepreneurial vendors, from across the state, have come together, connecting urban and rural neighborhoods across Iowa. 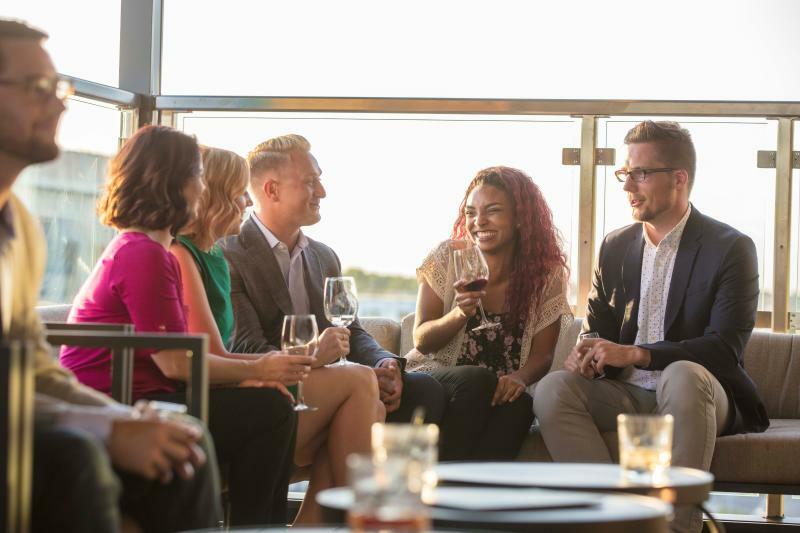 If you’re in town for meetings and events, mix and mingle, dine, shop and get to know the people of this thriving community. Visit the market on Saturdays May 5 - October 27. Ranked in the top 10 places to live in the United States by SuccessfulMeetings.com, Des Moines is thriving and growing and welcomes meeting attendees to explore, network and enjoy this hospitable city. Greater Des Moines will feel like home while you’re here for your next meeting or social event. From the accessible meeting venues to the exquisite dining experiences, take advantage of this surprisingly cool city. Ready to plan your next meeting in Des Moines? Contact the sales team, take a look at the Catch Des Moines Planner’s Guide and submit an RFP to start planning a successful meeting filled with unique venues, great dining options, personalized service and plenty of hospitality.